This reference defines best practices for energy survey and analysis for purchasers and providers of energy audit services. This full-color edition provides updated guidance and tools for energy consulting engineers, LEED professionals, real estate professionals, building owners and building managers. 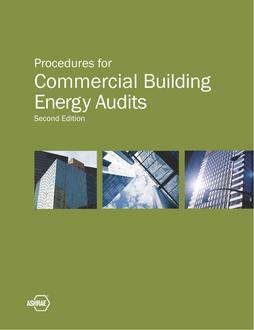 Expanded since its LEED-referenced 2004 publication, this book details energy auditing methods and provides new sample forms and templates that illustrate the content and arrangement of a complete, effective energy analysis report. *NOTE: Unlike its previous version, this second edition does not include a CD. For full access to the book's audit forms, follow the exclusive link provided on page XI of the preface in both the print and digital versions.